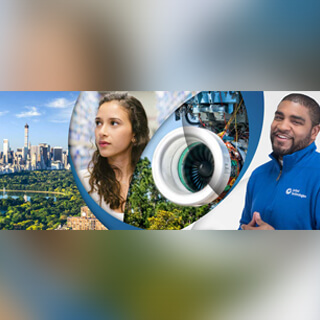 UTC Climate, Controls and Security is a unit of United Technologies, a leading provider to the aerospace and building systems industries worldwide. 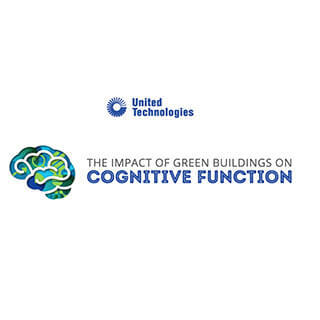 UTC Climate, Controls, and Security (CCS) is the world's largest provider of building technologies. Its fire safety, security, building automation, heating, ventilation, air conditioning and refrigeration systems and services promote integrated, high performance buildings that are safer, smarter and sustainable. The Director, Corporate Functions reports directly to the Vice President & Chief Information Officer and is a critical member of the Digital Leadership Team. This position is responsible for the integrated business/technology strategy and direction of the Corporate Functions including but not limited to Finance, HR, Legal, Marketing and Operations. This role will address current and future business needs while aligning enterprise Digital Technology direction. The role will build deep understanding of business strategies, have proven experience with digital transformation of corporate functions, help shape strategy to enable profitable growth and achievement of global function industry benchmarks, and will work in partnership Product Lines and Technology Services organizations. The role will drive Digital Technology strategy for the business domain with significant senior executive interactions and influence globally. 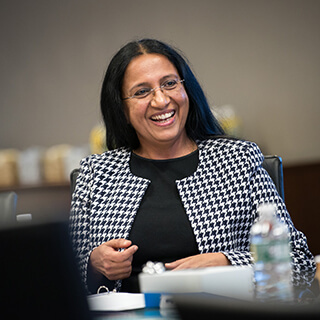 This individual must demonstrate an ability to bring together business needs and technology solutions with agility; drive good management discipline and continuous improvement; deliver functional and financial objectives; acquire and develop top talent with diverse and inclusion at heart; collaborate with business partners and functional leaders; deliver portfolio and project outcomes. Ultimately, this role will ensure Digital Technology continues to be a core strategic advantage for the global functions of our Corporate Services. Given its strategic role and seniority, this key position must have strong strategic partnering (internal and external) skills, strong networking, demonstrate high intellectual curiosity, act as a change leader and be able to develop outstanding working relationships with key Senior Executives in UTC and Digital Technology executives worldwide. Work with senior leaders to evolve culture and organizational behavior, elevating Digital Technology into a strategic partner. Develop deep knowledge of Global Enterprise Corporate functions and build both horizontal and vertical relationships with business and Digital Technology leaders that deliver business impact. Coach business partners and enable them to articulate the technology needs and requirements in their function that will advance business performance. Act as the principal technology advisor to Global Enterprise Corporate functions and a champion for identifying, leading and driving information technology transformation. Ensure that [business unit or function]’s strategy and key performance indicators are identified and leveraged for effective IDigital Technology demand shaping. Partner with business unit or function leaders on pre-project ideation. Partner with enterprise architects to develop technology enablement business capability roadmaps. Partner with business and Digital Technology leaders to evaluate proposals, build business cases, and plan new joint initiatives, and determine how they fit into business capability roadmaps and priorities. Partner with business analysts to ensure that essential business requirements are understood, captured, and reflected in solution documentation. Partner with business transformation or change management teams to ensure that the business unit or function has the capacity and capabilities to implement changes required by new technology solutions. Ensure that project/program managers and Digital Technology staff assigned to projects are knowledgeable about the business unit or function, business partner(s), and their objectives. Ensure delivery of new technology solutions and capabilities in accordance with the roadmap and ensure that they meet established objectives and expectations of business partners. Share ownership of the business value results of technology related projects; measure and communicate business value results on a regular basis. Bring outside-in or fresh perspectives into the organization by routinely meeting with end customers/consumers, industry peers, and other external sources. Ensure continuous improvement in value optimization, Digital Technology performance, and business processes where applicable. Proactively identify business capability and Digital Technology service gaps and contribute to improvement efforts. Advocate for and advance business partners’ knowledge of Digital Technology processes, frameworks, roles, and capabilities. Develop value-adding BRM professional maturity, individually and for the entire function. Minimum of ten years of experience within the information technology and/or increasing responsbilities within a realted or relevant area of business. Demonstrated success working in a team environment and ability to collaborate cross-functionally and in different geographic locations. Proven and highly efficient project management capabilities, including prioritizing, developing and executing plans, tracking progress, solving problems, mitigating risks and achieving goals. Ability to influence others in a diverse and dynamic work envrionment. Incumbent should have excellent oral and written skills, the ability to handle a broad range of functional and business issues, and the capability of independently dealing with all levels of CCS leadership and third parties. Returning to Work After A Career Break? Interested Enter category and/or location, then click ADD.